There's no better way to start your day than with a nutritionally packed, balanced breakfast, high in protein with good fats to kick start your metabolism and curb those mid morning cravings. 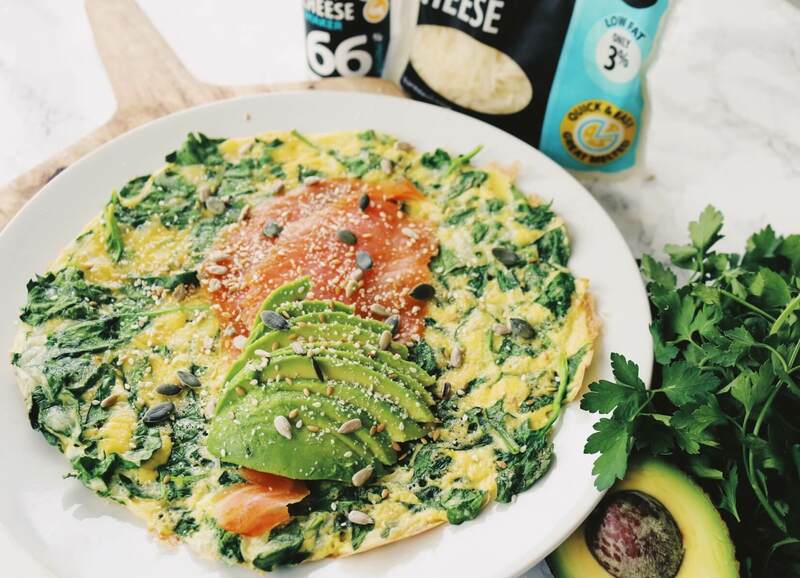 Omelettes are our weekday morning go-to recipes as they are simple and quick to make, and you can really easily rack up a high protein content really quickly when boosted with our Protein Cheese range! 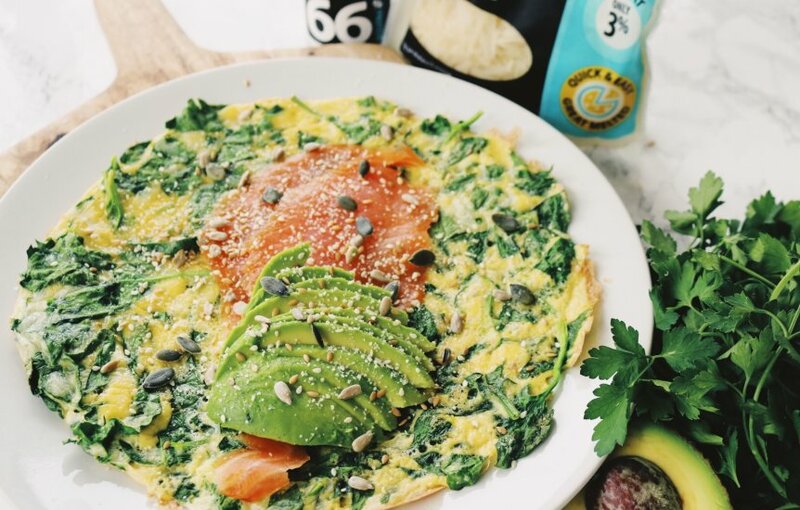 This omelette combines the good fats of avocado, salmon and mixed nuts with the high protein content of eggs and our Grated & Shaker Protein Cheese. You can add a massive 53g of protein to your macro tracker after eating this...with just 11.1g of carbs it's a lean breakfast winner. Grated Protein Cheese - There's no better way to start the day than with melted cheese right? With our grated Protein Cheese you don't need to hold back either! With 90% less fat, and 40% more protein than standard Cheddar Cheese, feel free to grate away on your omelette for a low fat, low calorie, high protein cheese fix! Shaker Protein Cheese - If you want to boost the cheese flavour even more, we switch up parmesan for our Shaker Protein Cheese. At 66% Protein, its our Protein Cheese in its purest form. All natural, super high in protein, low in fat and low in calories - it's a winner that goes with any meal. Crack 3 large eggs into a bowl and whisk together. Chop one bowl of Baby Leaf Spinach and add to the egg mixture, combine the two. Add 30g of Grated Protein Cheese to the mixture and a good sprinkle of Shaker Protein Cheese! Spray your frying pan with Fry Light and pour the mixture in when hot, spreading out evenly in the pan. When the omelette has cooked through, transfer to a plate and top with 2 slices of smoked salmon, half an avocado and a sprinkle of mixed seeds. Enjoy! When it is ready and the cheese has gone lovely and golden brown, top with the remaining bacon and spring onions, and serve!